At PLC, we understand the business requirements of our clients and hence strive to provide the most apt, relevant and high-quality die cut labels to them. Die cut circle labels made by PLC are high on demand for their easy printability, efficient quality of graphics, accuracy of dimensions, desirable shape and combination of colors, material and surface finishing. We make it easy for our customers to work with us and reach to us through a simple phone call regarding any order-related query. Our prompt response and timely delivery of products at the customers’ doorstep earn us a lot of good will in the market. We value our customers’ time and hence offer instant quotes to our customers on phone to help them in making the right decision. 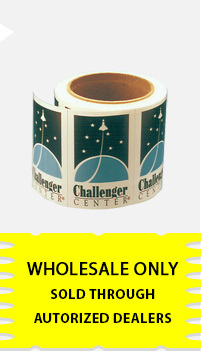 Our cost-effective die cut circle labels and other varieties are reasonably priced and hence we provide complete value to our customers’ money. Partnering with PLC will leave you without any doubt regarding the quality, sincerity, efficiency and performance of the die cut labels, as we make sure to offer only the best to our customers. 1/8" 1" 2" 3" 4" 5" 6"
3/16" 1.08" 2 1/8" 3 1/4" 4 7/16"
1/4" 1 3/8" 2 1/4" 3 1/2"
5/16" 1 1/2" 2 1/2"
7/16" 1 5/8" 2 3/4"
1/2" 1 3/4" 2 7/8"